Shwmae! I’m Anna, and I was appointed Welsh Language Tutor for Assembly Commission staff in November 2014. I offer one to one mentoring sessions, formal lessons and more informal learning activities to learners on all levels, from beginners to those who are more advanced. In this new post, it has been a pleasure to meet so many members of Assembly Commission staff who are enthusiastic about learning to speak Welsh. It is a joy to hear those learners using Welsh freely around the offices at Tŷ Hywel and in the Senedd. 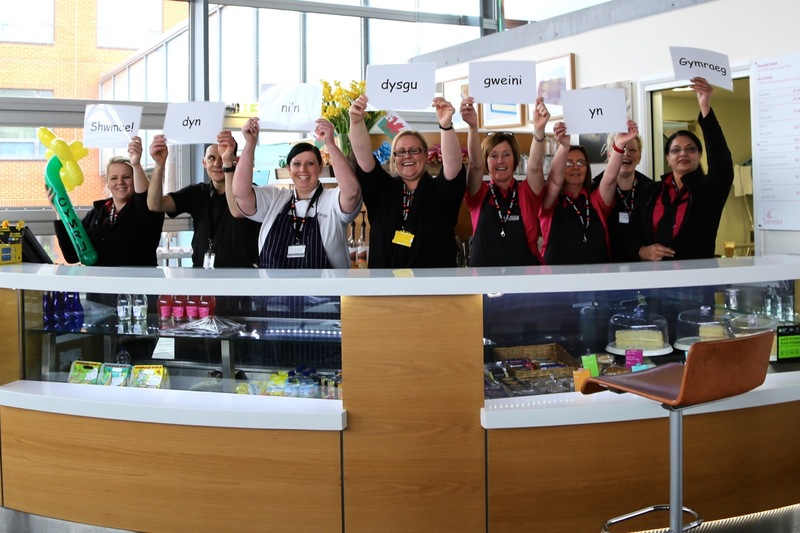 Another highlight has been teaching the canteen staff to serve in Welsh. It is a thrill for me to hear them use the phrases they have learnt at work, and I always look forward to my sessions with the team as they always bring so much fun with them. Ga i helpu? May I help? One thing that has struck me since I started in this post in November is how difficult it can be for learners to have an opportunity to speak Welsh outside the classroom. Therefore, I’d like to use the space that I have left to call on all Welsh speakers to give our learners a chance – turning to English can undermine their confidence that they can communicate in Welsh. So, Welsh speakers and Welsh learners, give it a go!